Heads-up, people! 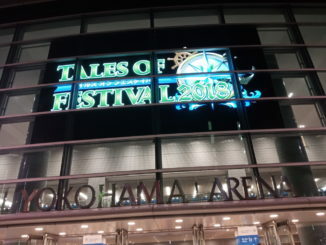 After weeks of silence, a teaser site for the next Tales of game is now up online! You can visit the site here. 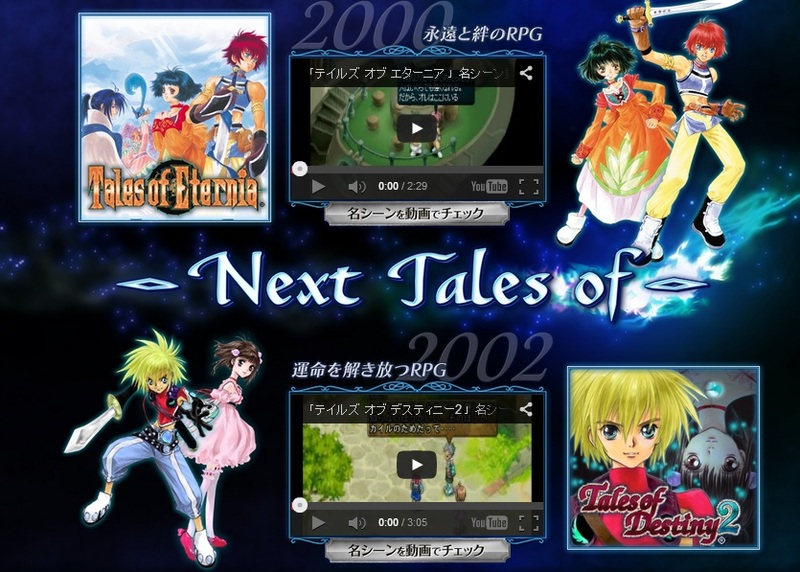 The site has a blue color theme, with a little look in the past on Tales of Phantasia and Tales of Destiny. 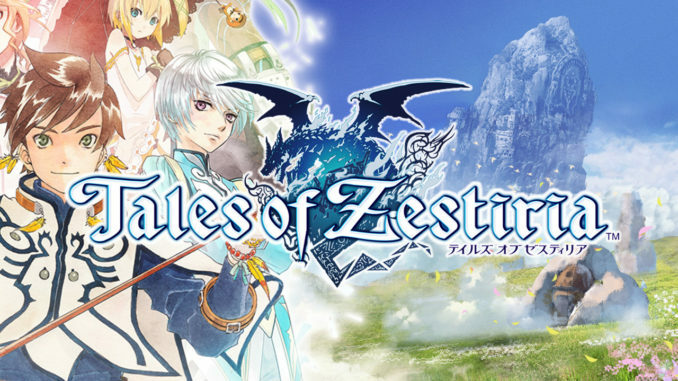 You can also download wallpapers of the two games at the bottom of the site. 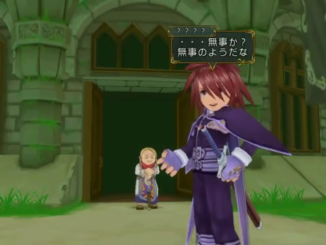 If I'm right, this will be a countdown site of sorts, with the countdown being the chronicle of the past Tales games. 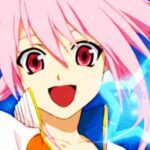 Baba-san also mentions on Twitter that that indeed is the case, wit the previous mothership titles acting as part of the countdown. 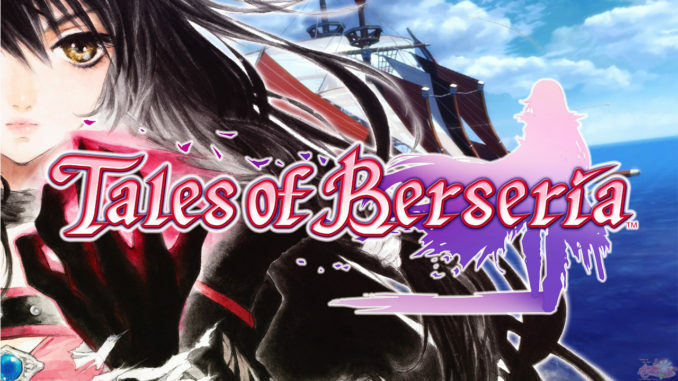 And seeing as this is a "Next Tales of" site, this is 100% a mothership title. 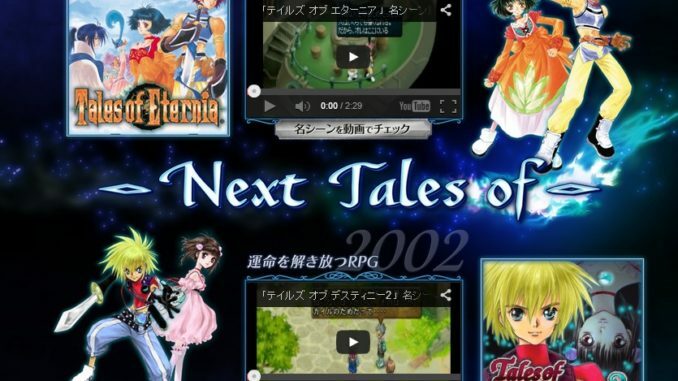 UPDATE (November 28,2013) - The countdown site has been updated with Tales of Eternia and Tales of Destiny 2 today. This practically confirms that they're going with the "two mothership titles a day" countdown route, so... we can probably expect the countdown to end on Deceber 3 or 4. Warning: For those who haven't playd those games, view the videos on the site at your own risk. 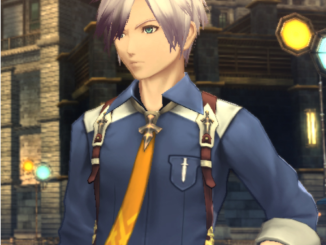 The videos are full of spoilers about big, emotional scenes in their respective games.